I shoot for 10-12. But on my last sets I'm around 8. Has to vary constantly.If it doesn't,you gains will be compromised.There's no one way to do anything. I have 3 workouts. One is 6-8 reps. One is 10-15 and the other 20ish. Cycles with 3 steps; 4-6, 8-10, 12-15. 21s are a great finish for variety. I incorporate all. Get the best results currently gettin in the full spectrum of ranges. Only thing I dont do now is one rep maxes, since I feel those dont really build size. Fun but easier to get injured. Legs I always go higher reps with very heavy weight. Up to 50 reps with 800lbs on leg press for example. Leg extentions with the stack for 50 reps. For years I stuck to 12-15 rep range for most of my sets. It worked for some years, but ultimately I adapted and got the most out of the full variety. We like to switch it up every couple of weeks. 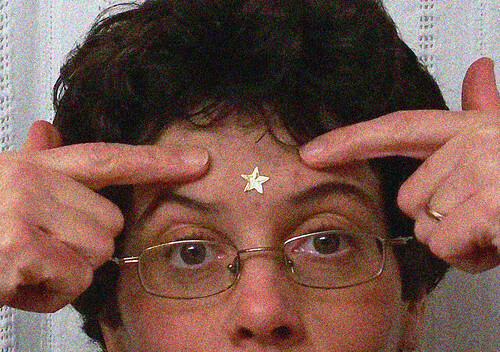 Great, I will get a gold star to put on your forehead since you are the first person ever in the history of the world to think of that. I generally stay with 1-5 but sometimes I will do up to 50 reps for things like shrugs or calf raises. My compound movements are low rep for 4 weeks then medium rep for 2 weeks. I lift for fun and strength not hypertrophy, so sometimes I will do something random like 100 cleans or bodyweight work. I personally do a range of 8-12 with my HIT routine. When I am able to exceed 12 reps in a set, on the next workout, I increase the weight a little. Save $$$ by using discount code - GDD106 - at TrueProtein.com - Thx!